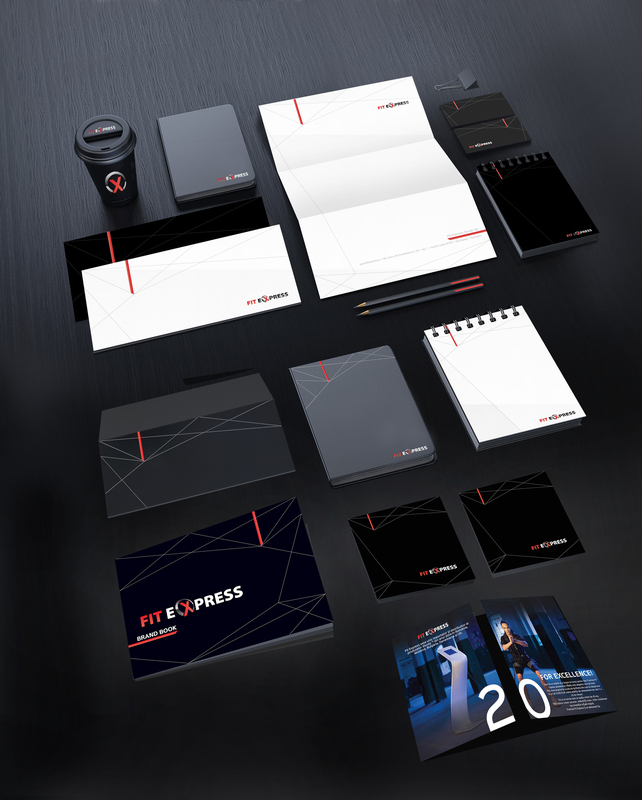 FitExpress is a family business based in Romania, founded in 2013. The main activity regards importing XBody equipment, selling franchises and opening up studios where one can practice a different type of athletic training, using EMS (electrical muscle stimulation) technology equipment. 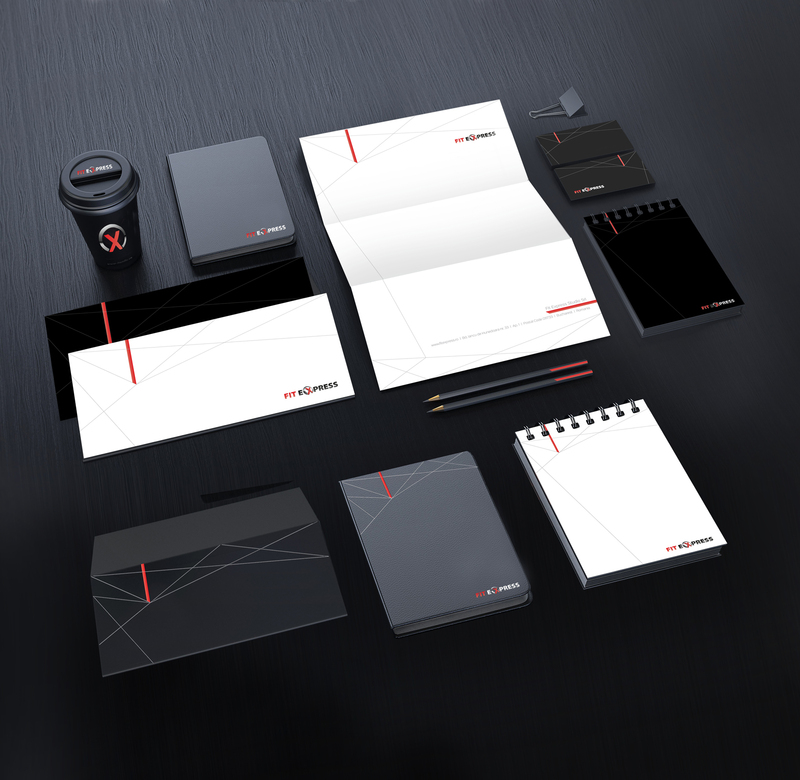 The logotype was already designed, as it was specially created to match the XBody corporate identity. 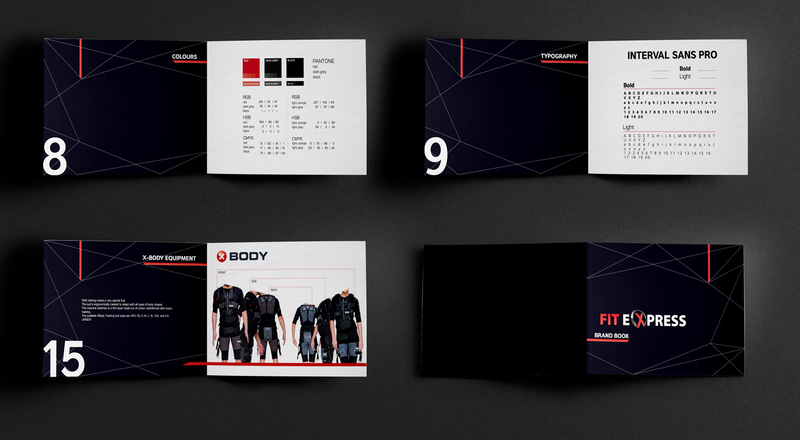 The objective was to create a responsive brand book in order to develop an authentic and strong identity for the brand. It highlights the FitExpress values: excellence, proficiency, user oriented, personalization, partner respect – franchising and durable relationship development. 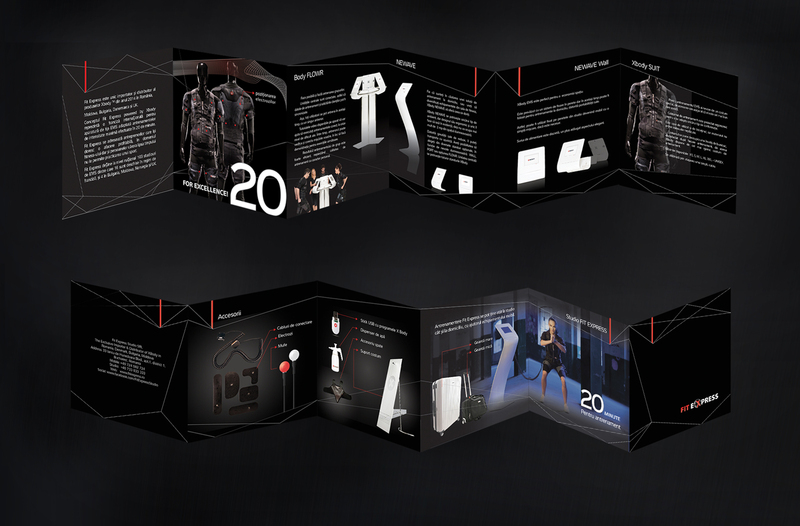 The brand book aimed to create a more detailed and unified image for the brand, so that all the franchised studios can follow its guidelines. The general look is dynamic, powerful and innovative, to better represent the brand’s vision. We chose “20 for excellence” as a tagline for the brand book, as the general philosophy is promoting the idea that it only takes 20 minutes of training in order to get in perfect shape. We structured the brand book into 20 chapters, meaning 20 steps to follow to perfectly represent this brand’s image and feel. The main focus was to create the idea that FitExpress is a long term strong partner for both one`s business and its clients. With a user oriented vision and methodology, the brand blends in together a healthy lifestyle with the urban speed of the daily life. Therefore, our strategy and visual concept was based on the notion of “time”, our most precious resource nowadays. It is one of this brand’s main features, solving the continuous time-crisis of our generation with technology that adapts to the daily needs of society.